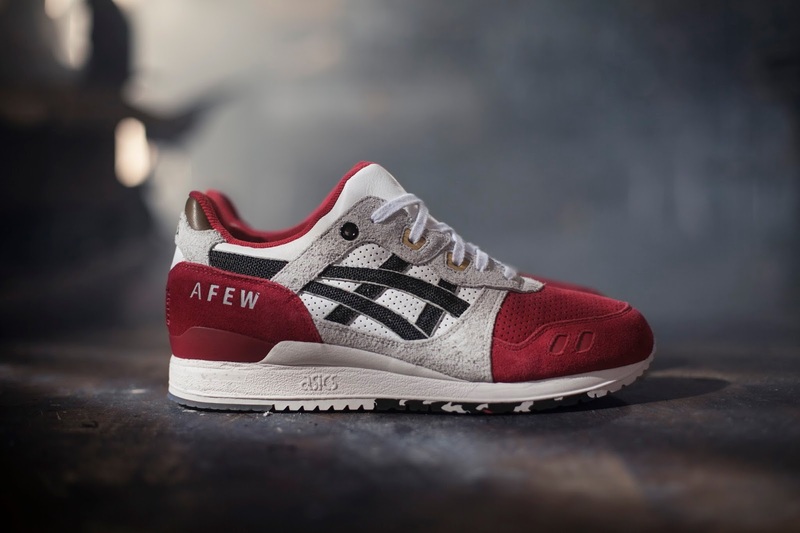 ASICS X AFEW GEL-LYTE III "KOI"
Since 2002, Düsseldorf has hosted Japan Day every May. It is one of the most popular events in the country, and the German-Japanese festival helps celebrate two unique cultures, whilst highlighting the home of Japan's largest community in continental Europe. 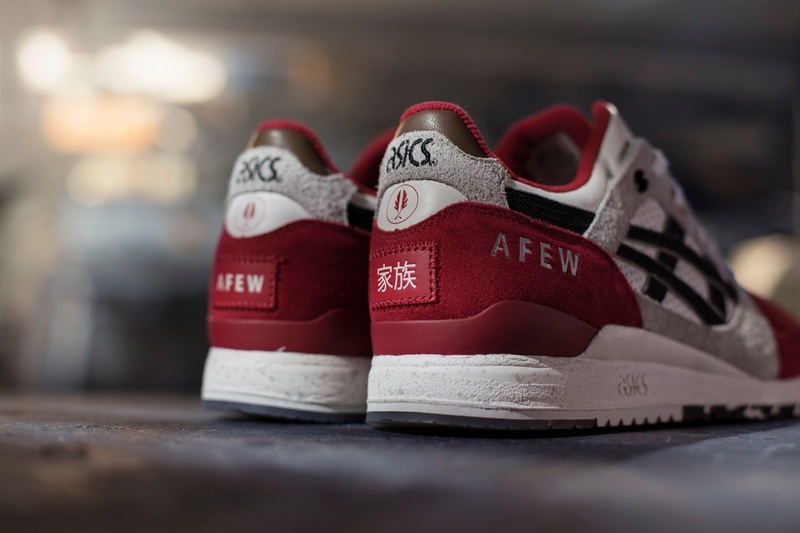 This month, ASICS Tiger and AFEW celebrate the Gel-Lyte III inspired by Düsseldorf and the merging of these two cultures. 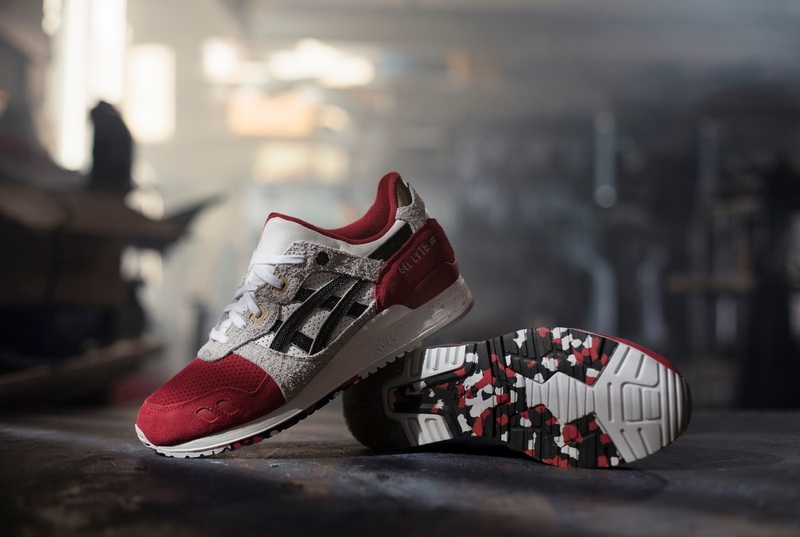 The iconic silhouettes has been reinvented in Japanese flag and JapKoi fish inspired colours - red, white and black - and has been impeccably executed using an infusion of materials. 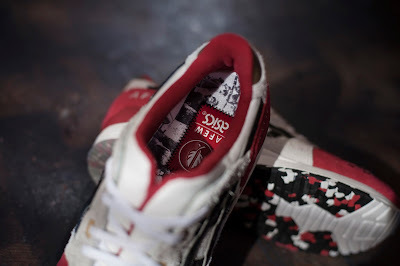 The combination of perforated suede and rough suede gives the trainer texture and an emblematic feel. To add to it's overall handmade quality, the Japanese denim outer stripes have been made from Japanese selvage and the eyelets on this silhouette are wooden, inspired by Japanese furniture. As you can tell, the attention to detail on this release is second to none, but it doesn't end there. The transparent section on the outsole features AFEW embossed on one foot, and their circular logo on the other. Another distinctive touch is the date of inception and anniversary year sewn onto the heel counter. 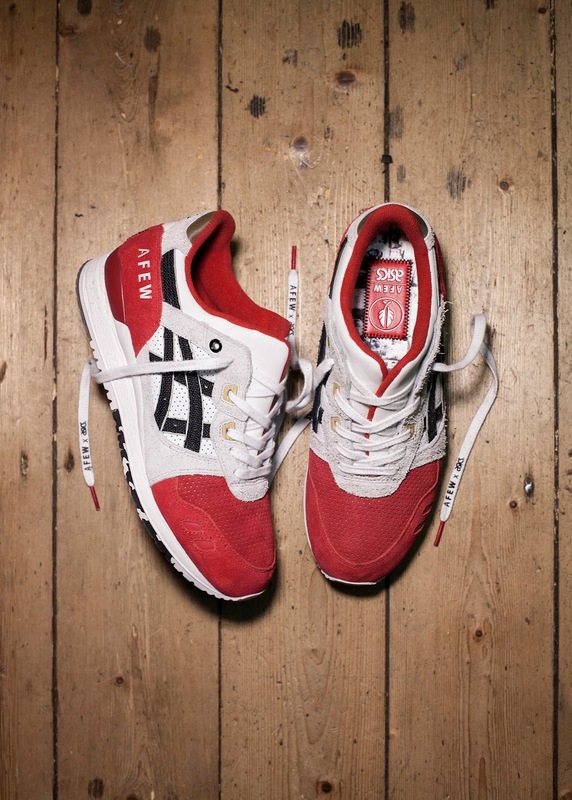 My favourite final touch on this release is "Cheers Mitsui-san", the designer of the Gel Lyte III printed in Japanese on the inside of the rough suede upper. All these additional details tell it's own story. Without a doubt this is a shoe that we should all celebrate and pay homage to - it's absolutely exquisite. 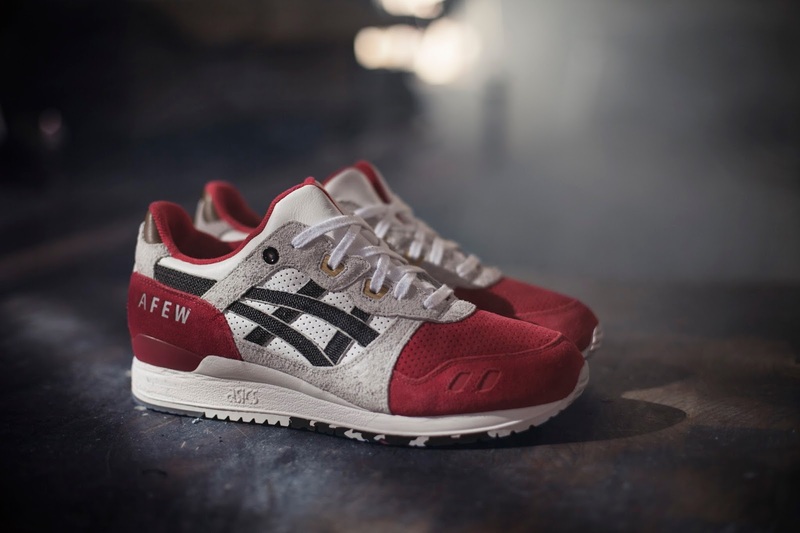 The ASICS x AFEW will release on the 30th May at selected retailers globally. 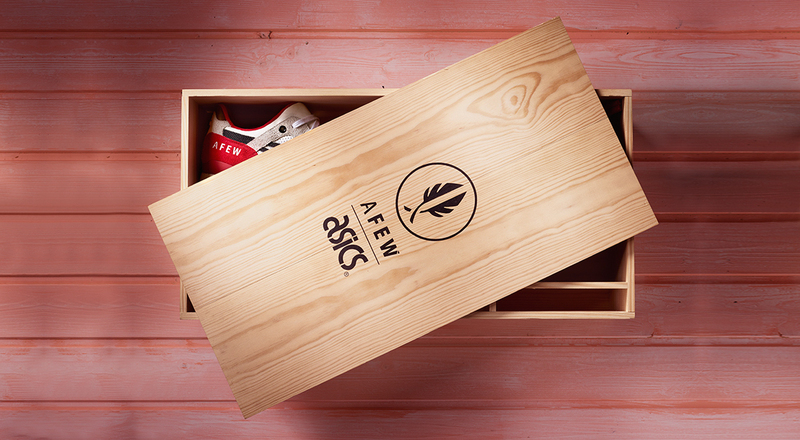 For the release the AFEW store, they have created a special Bento Box created from wood, which come together with a booklet, Afew x Asics Chopsticks and 2 pairs of extra laces - wasabi & soy sauce. I love this idea! END X REEBOK 25TH ANNIVERSARY VENTILATOR "HUSKY"
REEBOK X DISNEY INSTAPUMP FURY "CINDERELLA"
EVISU PRESENTS STREETFIGHTER COMPETITION NIGHT! APN - "THEY LIVE/ WE LIVE"
VANS X DISNEY - "YOUNG AT HEART"
CREP PROTECT ON THE GO! PUMA DISC BLAZE "COASTAL PACK"
SNEAKERSNSTUFF X ADIDAS ORIGINALS "BREWERY PACK"